Mention Coppell, Texas, and people may give you a blank stare. It’s a small town of approximately 38,000 people that wasn’t anything more than a farming village until the 1970s. Outside of the area’s residents, not many people will know where it’s located within the 268,000-plus square miles that make up the Lone Star State. Mention Dallas, on the other hand, and a spark of recognition will light up in people’s eyes. It’s a big city, a metropolis in the northeastern part of the state. It immediately conjures images of the NFL’s Cowboys franchise, the Southfork Ranch from the famous Dallas nighttime soap opera of the 1980s and, of course, that unforgettable skyline. Coppell lies on the outskirts of this metropolis, a suburb nestled between Dallas, Irving and Grapevine. 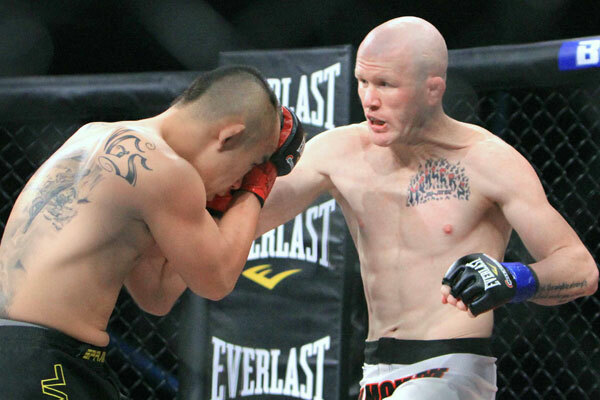 It’s home to Mohler MMA, where Bellator fighter Jason Sampson trains. But nowadays, any mention of Dallas is met with another image. One of biohazard suits and the ebola virus. Coppell is far from the hospital in Dallas where Thomas Eric Duncan was treated for the disease, but its proximity certainly must have its citizens concerned. And what of the MMA community, where close physical contact is the norm? 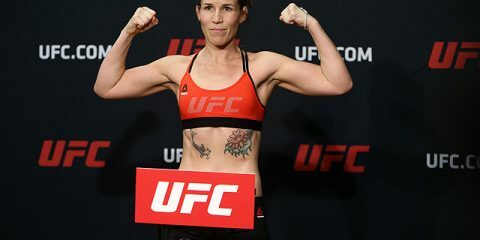 “People talk about it a lot, but it’s really no big deal—even though the majority of my day is spent in other people’s sweat and blood, so maybe I should be worried,” Sampson, with a laugh, told Combat Press. 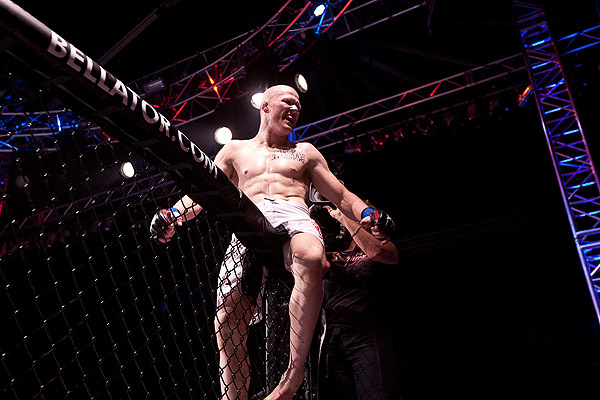 Sampson was already on a path to mixed martial arts before he moved to the Dallas area. It wasn’t an easy road, though. He had a troubled childhood, where fights and experimentation with drugs were part of the norm. Then, he found martial arts. 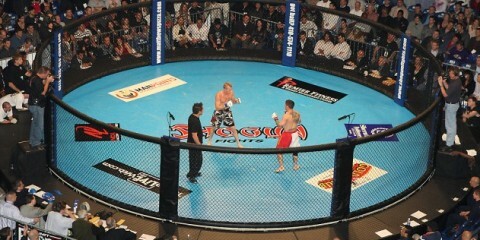 Sampson made his pro debut in 2009 and won his first eight fights. 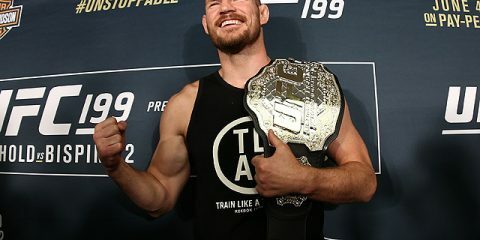 He finished six of those fights within the first round and only went the distance on one occasion, a split decision victory over future UFC fighter Erik Perez. 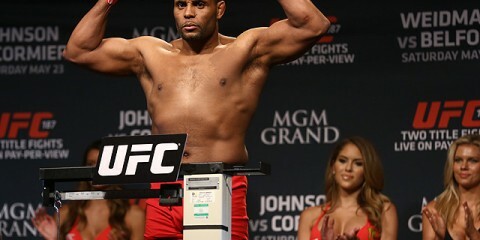 Perez is now 4-2 inside the UFC’s Octagon, making Sampson’s victory all the more impressive. With such a notable win on his resume, Sampson is certain to start receiving more recognition. Sampson’s success hasn’t come without its setbacks, though. After his eighth professional win, a first-round armbar finish of Joshua Montoya in 2011, Sampson was sent right back into action against Montoya less than four months later. It was only the second time Sampson went the distance, and this time the result wasn’t what he was hoping for or even what he expected after the final bell. He had lost a split decision. “Josh Montoya is a tough guy, but myself and the overwhelming majority of people that saw the fight thought I won,” Sampson said. “I took him down every round, with a total of about 13 takedowns, and the judges somehow gave him the win. A number of other things happened leading up to that fight and in my life as well. I beat him fairly easily for our first fight—I was mentally ready and beat him in his hometown. Despite the setback, Sampson did move on to bigger and better things. He made his Bellator debut in his next fight, a 2012 bout against Jeremy Myers. Sampson sunk in a rear-naked choke in the third round to finish Myers. Ten months later, he was back in the Bellator cage against Chris Pham. Once again, the fight went to the third round. And once again, Sampson secured the late submission finish, this time via armbar. It was more than 20 months before Sampson would step into the cage again. He battled injuries that kept him sidelined, but he returned in early October to fight Danny Sykora. 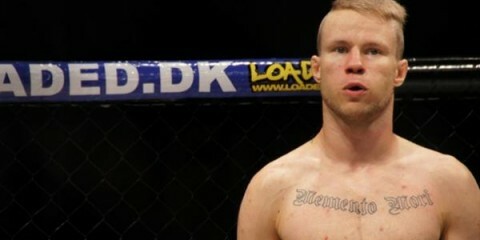 Sykora was a Pinnacle Combat MMA mainstay who had finished his opponent in all seven of his victories. 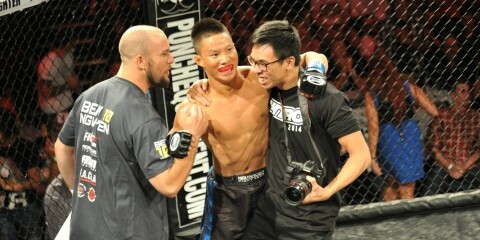 Sampson welcomed him to the promotion by taking him the distance and emerging with the unanimous decision win. “It was very satisfying to get that win,” he admitted. “It’s been a long road back and, honestly, it felt like my first fight all over again. Nerves kicked in, but once I got back in there it felt great. I’m very happy to bounce back from what I went through and get the win October 10. It’s like I always tell my students, hard work pays off! Unfortunately, the preliminary card fight didn’t find its way onto the Spike.com broadcast, leaving very few fans with the chance to see Sampson’s return. That “everything” includes what happens next. “I don’t ever call anyone out,” Sampson explained. “I find it disrespectful, and if you do call someone out, it normally doesn’t work out in your favor [laughs]. I just let my manager do his job and I do my job and keep getting better. But whoever may come, I’m ready. Life has been good to Sampson. His return to the cage in October is just one reason for celebration. Sampson is also a newlywed, having married his wife, Susan, just three months ago. 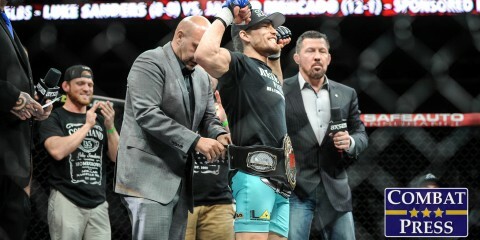 He’s now undefeated under the Bellator banner through three fights and has an impressive overall resume. 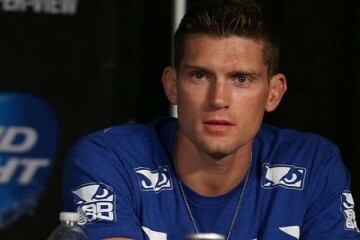 He’s poised for a move to bigger fights, and perhaps even a slot on the Bellator main card. Sampson is a very positive person. He’s overcome a lot in his life. He could have gone down a much different path and ended up in a dark place, but he didn’t. It’s not surprising, then, to hear the Mohler MMA instructor talk about his biggest advantage in the cage. Sampson, who started wrestling at the age of 11 and captured a Pan Am title in 2006, was warming up for his fight with Sykora while Bellator’s televised headliner was underway. 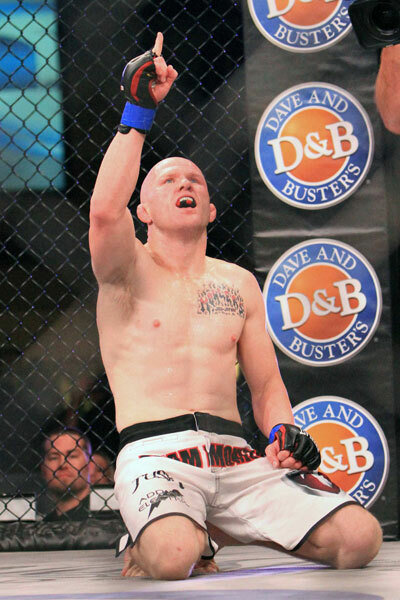 In that fight, fellow bantamweight wrestler Joe Warren was making his bid for the Bellator title against champion Eduardo Dantas. Sampson need only look at that fight to see where his heart can take him. One day, Sampson might be coming after that title. Right now, however, he’s not in any rush. He’s simply enjoying his recent victory. He’s healthy again, and he’s happy to be back in action. He’s busy teaching his students at Mohler MMA and improving daily as he works out in the gym. Right now, everything is perfect in the little Dallas suburb of Coppell, Texas.